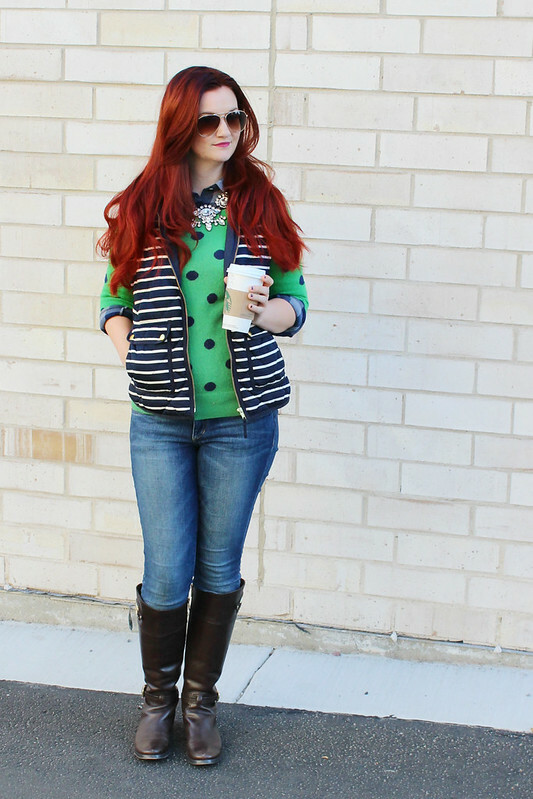 I decided to bust out some of my favorite older J.Crew pieces and get full on preppy today! 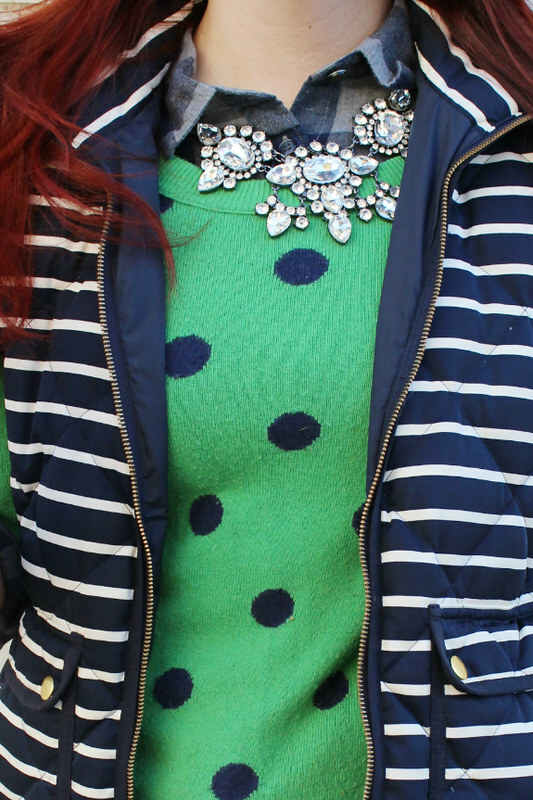 Polka dots, plaid, stripes...you name the pattern and it's probably in this outfit, haha! 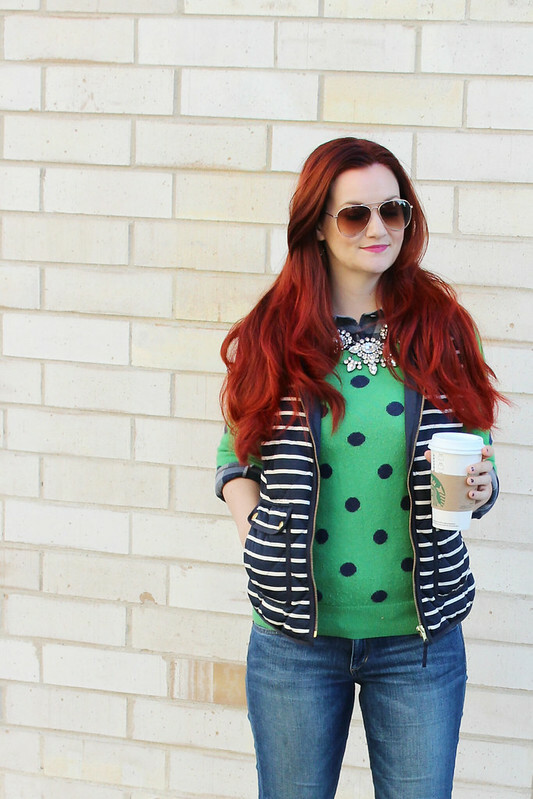 While this vest, sweater, and top are all no longer available (whhhhyyyyy, jcrew, whyyyy?! ), I've linked several similar items below. 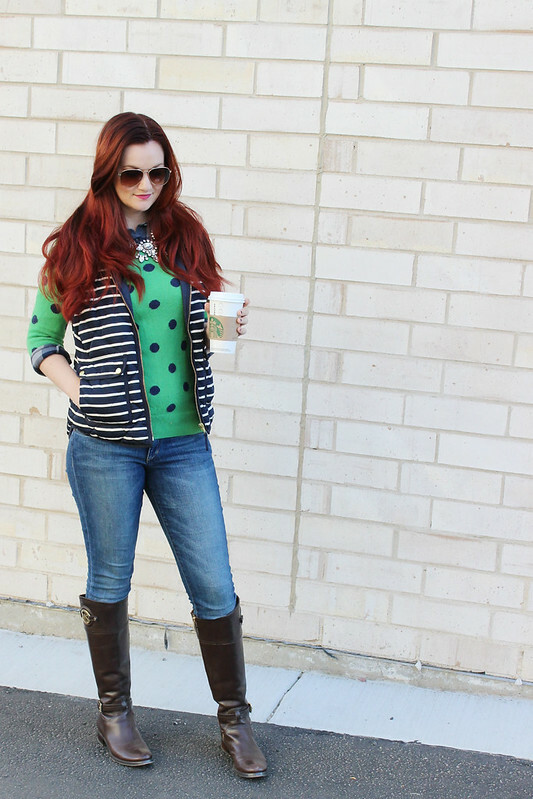 Oh, and how could I forget the best fall accessory?! My trusty Starbucks cup! Since the top of this outfit is so busy with all of the patterns, I wanted to keep it simple on the bottom. 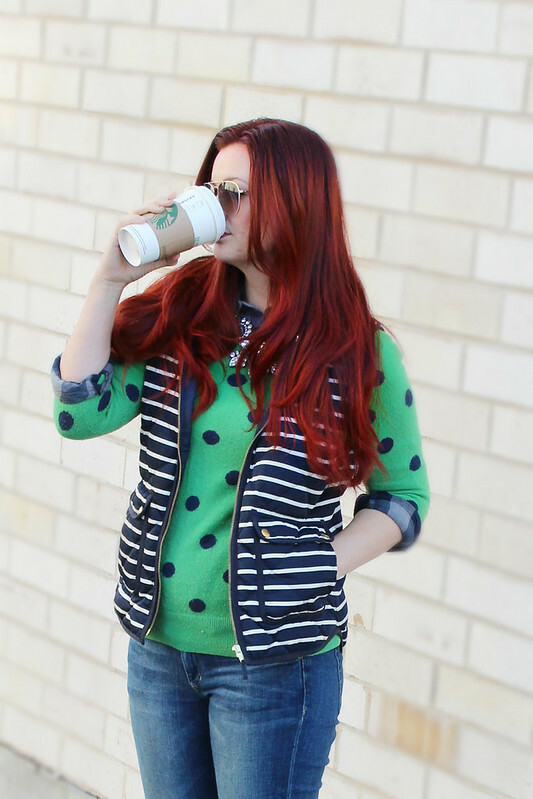 I added a plain pair of medium wash skinny jeans (Joe's Jeans are my absolute favorite! They fit my body type...*cough* thick thighs *cough* really well). 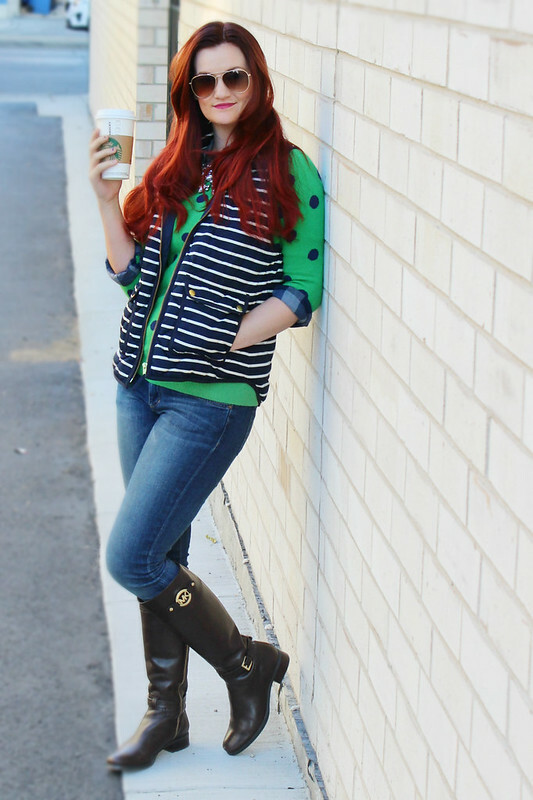 And I finished the look off with my go-to pair of dark brown Michael Kors riding boots. Seriously, I mixed all of the patterns! 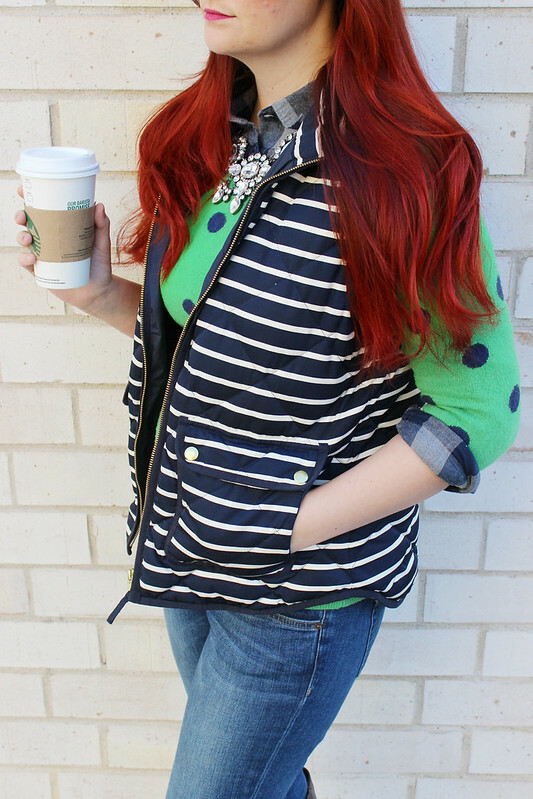 But by staying in the same color scheme of blue, green, and white I was able to pull off this crazy combination of giant polka dots, plaid flannel, and a striped puffer vest for a truly prep-tastic look!